Book Takostu for your event? 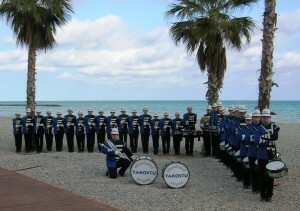 Music association Takostu has over 100 members and consists of a showband, youthband and a kidsband. The association is established on December 1, 1995 after separating from Fanfare Studio. Takostu is a showband with a unique style when it comes to music and show. Takostu always knows how to fascinate the public with a wide variation of music and rousing shows during tattoos, street parades and parades in and outside the Netherlands. At the moment the showband has 40 enthusiastic members with an average age of 18 years. 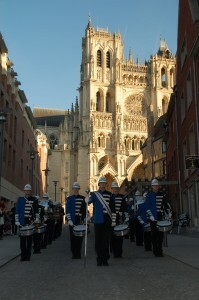 The showband is popular at tattoos, parades and festivals both in the Netherlands as abroad. Takostu has given shows in Belgium, France, Spain and Germany. 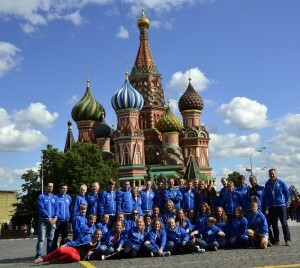 In 2012 the showband was invited by the Russian minister of culture to take part in the White Nights Festival and the international tattoo in Perm. Takostu has participated in the World Music Contest five times since 2001 and achieved good results. During the last participation Takostu achieved the 1st place on the world rankings in the highest division for ‘marsparade’. For more information or bookings you can contact us, click here.